1. 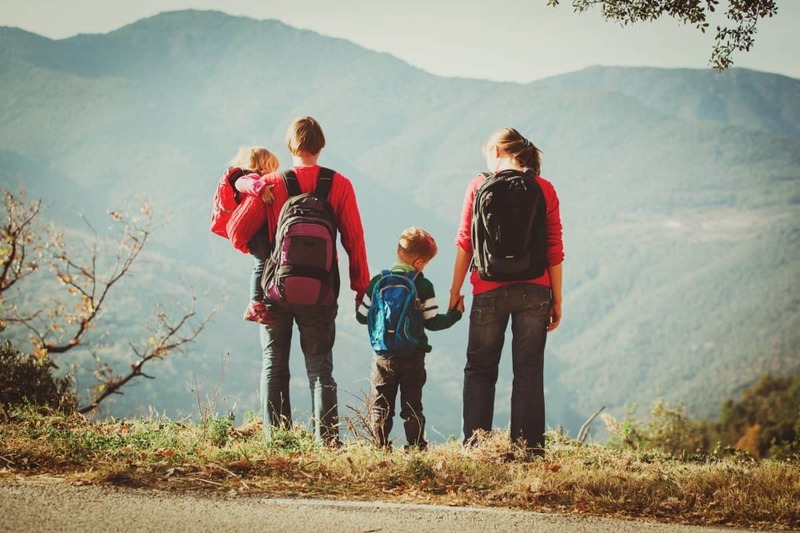 WHY SHOULD I TAKE MY KIDS HIKING? 3. HOW OLD SHOULD MY KIDS BE BEFORE I TAKE THEM HIKING? 5. WHAT ELSE CAN I DO TO MAKE HIKING FUN AND SAFE? 6. SHOULD I BUY SPECIAL GEAR FOR MY CHILD? 7. HOW MUCH SHOULD MY CHILD CARRY? 8. WHERE CAN I GET MORE INFORMATION ABOUT HIKING GEAR FOR KIDS? 9. WHAT IS A KID-FRIENDLY TRAIL? 10. HOW FAR SHOULD KIDS HIKE? 11. 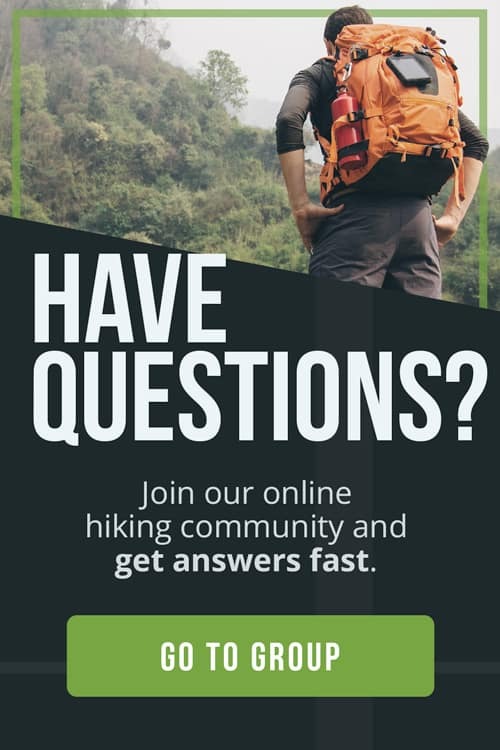 WHERE CAN I GET MORE INFORMATION ABOUT HIKING WITH KIDS? Hiking with kids is a great way to spark their dormant love for nature and the outdoor life, setting them on a positive trail toward good health and deeper understanding. But how do you know where to go, how far to go and how to stay safe? Here at The Adventure Junkies, we understand your desire to share the many pleasures and benefits of hiking with your children. We also understand that the more information and knowledge you have, the better the hiking will be. 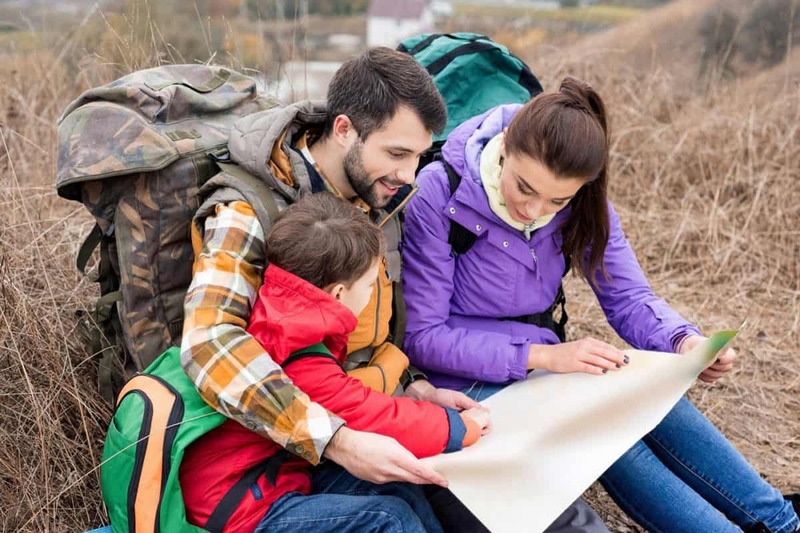 In this article, we answer your questions about how to plan, prepare for, and complete a fun and safe hike with your kids. Walking in nature is what humans do — our ability to walk on two legs and negotiate a path through the wilderness are some of the fundamental skills that make us who we are. Just because our current technology renders these skills largely unnecessary doesn’t mean we should give them up. They are integral to our survival and should be passed on and encouraged. What’s more, hiking is a great way to get your kids off their phones and computers and out in the real world of trees, plants, rocks, and wildlife. Hiking is an ideal calorie-burning and muscle-growing activity. It’s very social and inclusive. Research even suggests that spending time walking in nature can increase creativity and problem-solving skills. Plus, it’s a lot of fun, educational and can inspire a lifelong love of nature, the outdoors and physical activity. 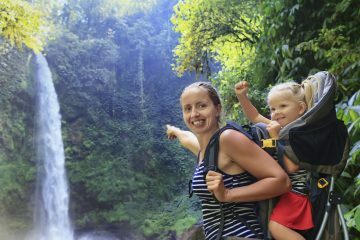 There are all kinds of activities, hiking games, trail guides and other distractions and entertainments you can use to spice up hiking for your kids, and these are especially useful for beginners. The more you can focus your kids’ attention on the present moment — where you are, what you are seeing, etc. — the more memorable the hike will be and the more likely it will be repeated without a lot of whining and fighting. Consider choosing hikes with a definite destination — a spring, an overlook, an old ranch building, a natural rock arch, etc. This makes a regular hike into a kind of quest, an adventurous concept to which kids naturally respond. It’s never too early to introduce your child to the trail! That’s what baby carriers are for. If you want your kid to become a hiker, the earlier you show them the beauty and grandeur of the natural world, the better. These days you see a lot of young parents hefting babies and even toddlers along the trail. When it comes to walking on their own, it largely depends on the individual child. You really won’t know for sure until you actually hit the trail if your child is able to hike it, and so much depends on the particular trail you are hiking. You can fairly assume, though, that most healthy kids over the age of three should be OK to hike on an easy trail. Of course, this is not going to be much of a hike for you, but that’s not the point. You’ll have to wait for at least the tweens for that. It’s a good idea to bring the child carrier along on your child’s first few “solo hikes” just in case they get tired and refuse to go on. It is if you stay smart, vigilant, and prepared. Choose easy trails in well known and well traveled areas; wait till the tweens or teens to go deep into the wilderness. When your kids are young, stick to the nature trails and the two-mile loops at first, and gradually increase the difficulty and distance as they become more confident, interested and skilled. No matter how easy, short and local the trail is, always plan ahead. Take water, snacks and a first-aid kit. And don’t forget to tell someone where you are going and when you plan to be back. Do your research. Your kids are relying on you to be the expert, so be one. Learn about the trail you’re hiking, and what kind of flora and fauna you’re likely to see. Is it possible that you’ll encounter dangerous wildlife or poisonous plants? If so, learn all about them, and how to avoid them. If you’re not at least a mildly seasoned hiker, you should become one before taking children with you — or at least make sure your group has at least one experienced hiker in it. Also, make sure that your kids know the rules of the trail before heading out, and explain to them the basics of hiking etiquette, trail safety, and how to signal for help if they need it. Sure, but start slow. A small gift of a new water bottle or safety whistle creates a buzz around an upcoming hike and helps your kids buy in early. Later, as they get better and more interested in hiking, new gear helps build a sense of ownership and excitement that can lead to a lifetime hobby. 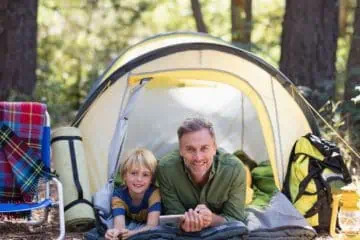 While there is a lot of gear out there designed specifically for kids, make sure that big, expensive items like backpacks, sleeping bags, sleeping pads and tents will remain useful as your kid grows. Not much to start. While allowing children, even very young kids, to carry their own backpacks and supplies is a great way to get them involved in the hike, the worst thing you can do is weigh them down and tire them out. 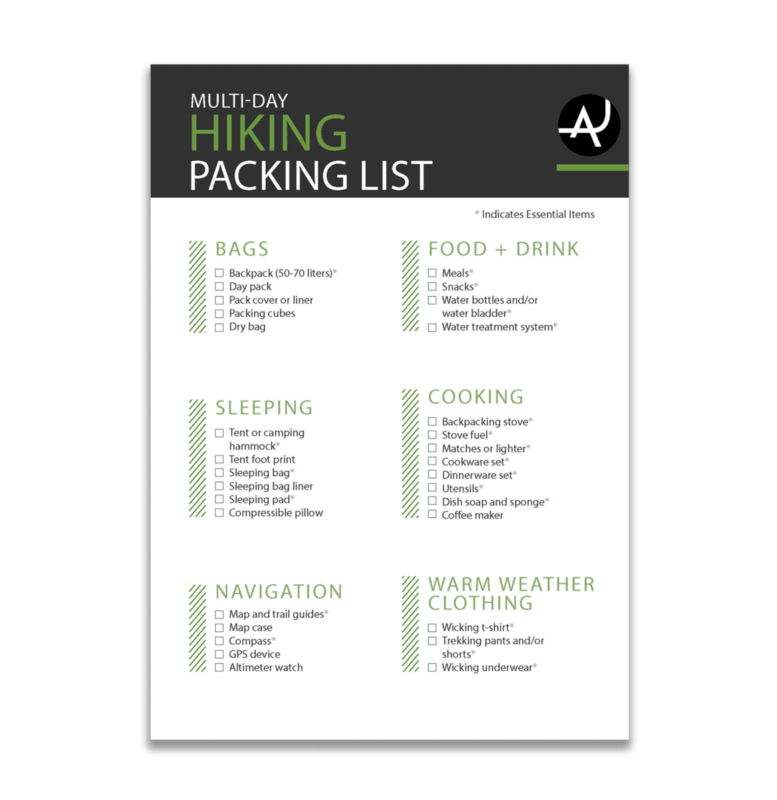 Add items and weight as they age and develop their hiking skills, but always err on the lighter side. Also, let them ask for it; don’t force a pack on your kids until they say they are ready. 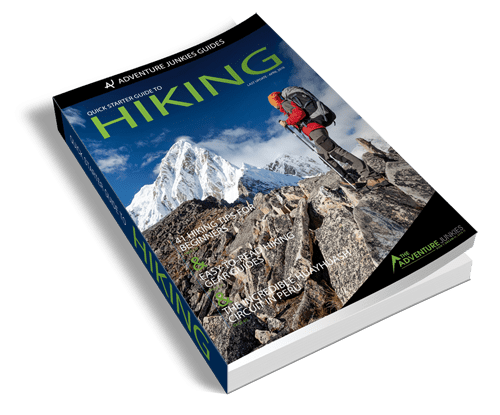 Here at The Adventure Junkies, we offer reviews of and guides to hiking gear for kids, and we’re adding more all the time. Here are a few of our gear articles to get you started. 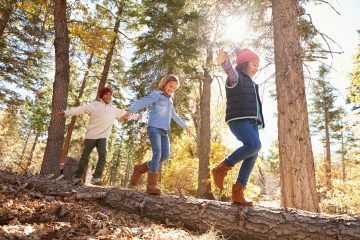 The best trails for kids, especially kids younger than tweens, are relatively flat, short and well known. Short loop hikes, nature trails, developed green spaces and parks, wetlands and wildlife-viewing areas with trails are ideal for introducing kids to hiking. Most state and national parks have at least one or two trails that are designed specifically with kids and families in mind. They should hike as far as they are able to without becoming overly tired, sick, cranky, or recalcitrant. Unfortunately, you probably won’t know your kid’s hiking sweet spot until you pass it by once or twice. That’s why it’s so important to choose very easy trails close to home when you’re starting out. 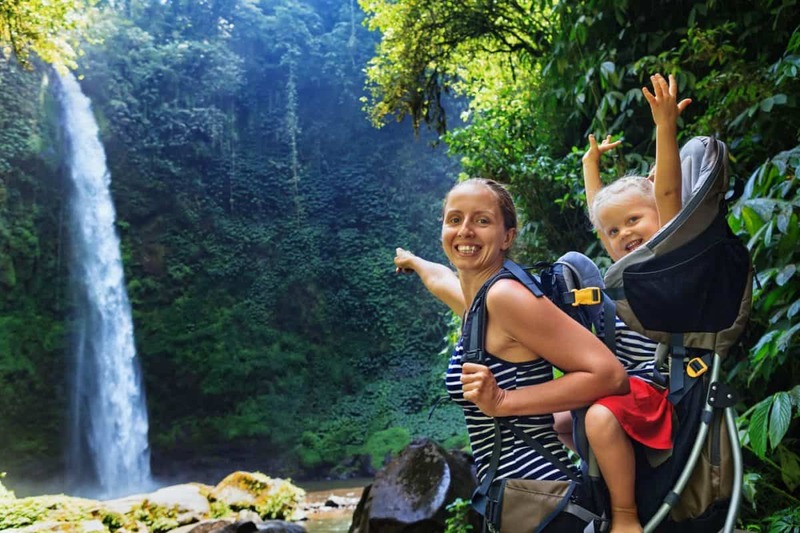 There are myriad mom-bloggers out there who offer great advice on hiking with kids, and most hiking and gear website have articles and tips on taking the family along with you on the trail. Perhaps the best thing you can do is to talk to your friends, neighbors and local hiking-store experts about their own experiences hiking with kids.